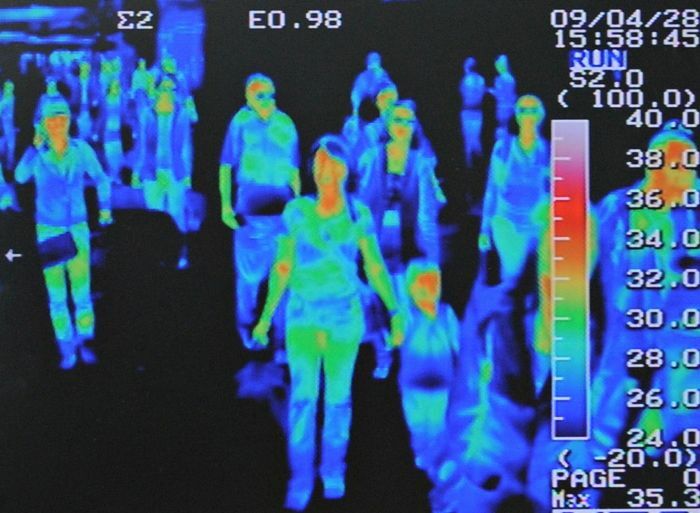 This is a rerpresentation of what the contracto would see as they look at the thermal image of your body. red is hot and blue is cold. Inflamation for example would be hot compared to other areas. I think this way the handler can tell if you are bing burned, for instance. If you are hot all over then you may have the flu for instance. With regard to the Contractor handler’s who Torture Targeted Individuals, For this writing i will assume the Reader is a TI. Doesn’t it seem like Guantanamo prison was there just to get people used to torture? I mean the war was fake; it was for profit. There was no enemy because it was the US who were the Terrorists. It was the US who committed the terrorist acts. I think Guantanamo Bay was there to get people used to the idea of torture. I say that because there was no war and no sectrets. 911 was done by the shadow government. They set it all up and then act like they will find out actionable intelligence from Muslims in the middle east. It doesn’t make any sense. I personally think that Guantanamo Bay was there to test torture techniques and to bring torture into the lexicon as a thing that we should be talking about. 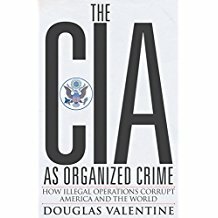 The CIA was torturing for MKULTRA. I believe that the thinking was that if torture was uncovered, they wanted it to be legal right? Guantamo Bay was something they wanted near the US where assholes could go to practice torture. They had to perpetrate the RUSE of a war to fool the American people and also fool the prisoners because after all they were innocent. I think the prisoners were DUPES who were bought there solely for the purpose of practicing TORTURE on them. It is private contractors who will set you up to get you to lash out at the wrong neighbor or the right neighbor but for the wrong reason. There is a big push on to say “it is not your neighbors”. BUT, It is your neighbors. The contractor handlers will take over the neighborhood watch group in your town and use it as a front for their activities. The real objective of the contractors is to swing the psychotronic spying apparatus around and put radar surveillance onto your neighbors heads. Remember that the motto of the NSA is “Collect It All”…. Everything.. and save it into PERPETUITY and then bring it up when you become a problem. This is the case, isn’t it? So why wouldn’t the spy agencies point their surveillance GOON ARMY (estimated at over one million), at the public in their own neighbohoods and homes to find out who is waking up and who is saying bad things about the Govt. and the Corporations. They are fascists corporations and they are afraid of you, the citizens now. These fascist corporations want to know what you think before you have a chance to cause trouble for them. They will lock you away or put radar on your head, keeping you in a virtual prison with little or no evidence as you already know. The contractor handlers can hook you up with radar on your head and it doesn’t have to hurt as it does for the TI’s. They can follow you around and see through your eyes and hear what you hear. Remember that fairness and proof are no longer required. THIS ARMY OF PRIVATE CONTRACTORS IS THE MECHANISM USED TO ENFORCE THE SHADOW GOVERNMENTS AGENDA, IN SECRET. I am calling this a wake up call for Militias in this country. I am sure theere Look at the following websites supporting these contractor handlers. One is at http://TLO.ORG for Terrorism Liaison Officer. Another group isand also https://InfraGuard.Org which are over the infrastructure. The last one is https://www.dhs.gov/ ..Department of Homeland security. Do read some of it and i think you will see a bunch of Junior G-Men or boys with toys. These entities are a GIANT SYOPS to extract money from you the citizen and hand it over to the Corporate war profiteers. They purport to target Terrorism but terrorism is a diversion. There is no Terrorism in America that needs this kind of focus. This was all started by the Bush administration to pring a police state down upon Americans. If you doubt this then I cant help you until you do your own research. Do not expect other to do your due dilligence. . This Terrorim gambit started mostly after 911 when SAFETY and SECURITY and TERRORISM became the watch words, when before that, there was no terrorism to speak of… RIGHT? All of the terrorism was done by the Government. >> 911, Boston bombing, Sandy Hook, etc. etc. 911 was a giant SYOPS to take away your right in exchange for safety. The result of it was to get everyone on the same page when they speak TERRORISM and make them aftaid and non trusting, They taket orders for security stuff and it is BIG MONEY. . Look at all the security aparatus put in place since 911. The Government has bought using your tax dollars. What about the wars waged on your dime. Then there are the countries that have been asset stripped, again using Tax dollars and yet the profits go to American war profiteers and you guessed it …. They extend all the way down to your contractor handler. THE CONTRACTOR MONEY TROUGHS ARE FULL. !! These contractors are cut from the same cloth as the ones that killed Lavoy Finicum. In case you dont know he (Lavoy) tried to surrender to Private contractors and he was gunned down with his hands up and then dispatched with a finishing shot. Contractors have no loyalty, no empathy and will cut corners. You may be one of the corners they cut. .. I am worried that some of the contractors may either be involved with the targeting of citizens or know of someone who is. Make no mistake, these private contractors are Traitors, taking away others rights to life, liberty and the persuit of happiness as if some corporation had the right to tell them to experiment on and murder people. No one has the power or job of taking away someones rights and use them like a farm animal for money. Sedondly the Contractor handlers will use their technology on the malitias if they havent already. Remember that I said, with this psychotronic technology, they can see through walls, lock onto your brain with radar and actually see through your eyes and hear what you hear. When they have you, you are their roving ROBOT Slave. It may look like you can move around at will but I can assure you that they are in control and some torture with the eledtronic weapons will teach you that. Also, there will be no resistance from anyone as long as they have thi capability unchecked. Before you can mount a resistance you have to plan a strategy and right their you are compromised and any plan o strategy will be in the hands of the Fascists. It is your duty to find out what their capabilities are so we can take our country back. This targeting is inhumane and must be stopped. Do not think you can get away with making some extra money by joining in because it is Treason and it i murder. 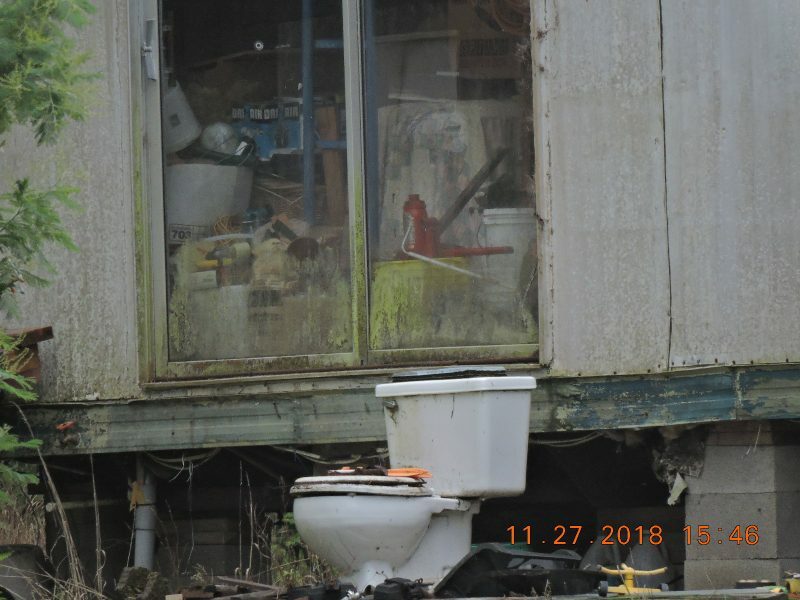 So, it is not all of your neighbors doing this crime, but it is some of your neighbors. Here is the syops>>> This is my opinion and much of it is verified, so please check it out and give it your attention and please vow to stop it. The country will not be taken down by an outside force. This country can only be taken down from within and that is exactly what is happening. It is your job to stop these private contractors from torture murder of civilians. We are civilized and what they are doing is driving slaves for the corporations. I have heard that they make close to $100/hr They must quit their jobs. They are order followers and our country can never be free so long as these people are working as predators. Also dont just ignore the targeting because it i incombant on all of us to do the right thing and these contractors must be stopped from hurting people. Remember that the fascists will use these people against you, if they havent already. There is always at least two and probably more military contractors in your neighborhood do a at most 2 x 12hour shifts watching the target, second by second for the purpose of subjugating with torture and human experimentation. They are hitting the TI with directed energy 24/7 to neutralize you. They are operating a false flag operation on you and your neighbors. They are telling the neighbors that you are dangerous and you are a terrorist. A number of your neighbors will buy into this syops and Drink The Koolaid as they say. Once the contractors get a neighbor to compromise themselves by accepting money or favors or anything, they have them for the longer term. This syops is the kind of thing the military use against third world countries and The DOD calls them MILITARY ADVISORS in third world countries, for the coming war which they will help create. The contractors will try to make you act out and get arrested or put in the hospital. But the contractors try to make you seem dangerous to the neighbors but really, you are subjugated and harmless. Meanwhile, at the same time that syops is happening to you, there is a syops happening to your neighbors to fool them into believing you are a terrorist and the contractors are saving the day by rescuing your neighbors and you town from you and getting rid of the TI to boot. It happens to all of us. These MILITARY SYOPS CONTRACTOR HANDLERS (IMO they are military) are like octopuses on the phone calling contacts everywhere you go while tracking you as you go about your day. This is how they do the syops to people you know and work with wherever you go. They call sympathetic people or perps at places you go and tell them to screw with you and mess up your day. This may work out for them resulting in you acting out and becoming a guest in your local hospital. But, succeed or not, the seeds of doubt against you are sewn in the vendor’s mind. The handler never misses an opportunity to subjugate and discredit you in your community. Places they might call, to screw you up are drug stores, department stores, barber shop, doctor office etc, etc. The contractor will call any place and try to influence people to treat you like a terrorist in order to make you act like a terrorist. Some are in on it but most of the people will play along for different reasons. I am buying a hunting rifle and the gun dealer says he can verify me in 5 minutes yet he comes back after talking to someone on the phone and announces to me that i will have to wait until January 2nd 2017 (about 6 weeks) to find out if I can take possession of the gun I BOUGHT already. It could be a coincidence but probably my contractor handler who lives next door across the street and is watching me in real time, called the gun dealer and told him in his official capacity as a genuine fraud moron that he should hold the background check up. This happens all the time. This person (contractor) has instant credibility to the store owner because the call comes as i am standing there waiting. Obviously i am under investigation and the moron contractor just tells the gun dealer what to do in his/her official incapacity. The handler is a criminal, a murderer, a war criminal, a torturer and yet he/she is a hero to the community where you are trying to do business and navigate your life. This contractor handler has inserted themselves into your life again and again and you are left wondering what the F@#K happened. Now at the same time, the gun dealer realizes that this contractor, handler, has saved the day for the whole GOLL DARN TOWN and now this gun dealer thinks the contractor handler is a hero. What I need to do is go back in there and give the gun dealer a handout which I have on my website… Jameslico.com … I have a slight advantage because when I say I am being tortured … I tell them to look at my website and when they do, I have pictures that back up what I say. Then I tell the gun dealer that this contractor handler is really a fraud and a liar and whatever you want…… you fill in the blanks. its not straight forward but it is doable. Once you prove yourself to the vendor or dealer then you get the gun or whatever and you get credibility and the moron contractor handler loses. You can turn the whole town around using the morons own tactics against him…. my email address is mailto:jamesFL@jameslico.com .. You get, an advantage when you know what is going on. I am pretty sure of myself but its up to you to decide how you want to proceed. good luck. Once you are in on the game they are playing then its easy to play the middle (Store clerk) against the End (contractor handler) .